Dr. Daniel Komo Gakunga is the new president of AFRICE. 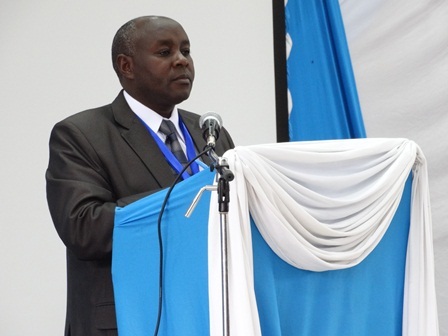 Dr. Gakunga, a lecturer at the Department of Educational Foundations; School of Education, College of Education and External Studies was announced President of AFRICE during the 2nd AFRICE INTERNATIONAL CONFERENCE held at Kenya Science, University of Nairobi on 19th June 2015. He will serve as president for the next 2 years. Before his promotion, Dr. Gakunga served as the Vice President of AFRICE since 2013. The College of Education and External Studies, the Department of Educational Foundations and the entire University of Nairobi extend their congratulations and best wishes to Dr. Daniel Gakunga as he leads AFRICE to new heights.